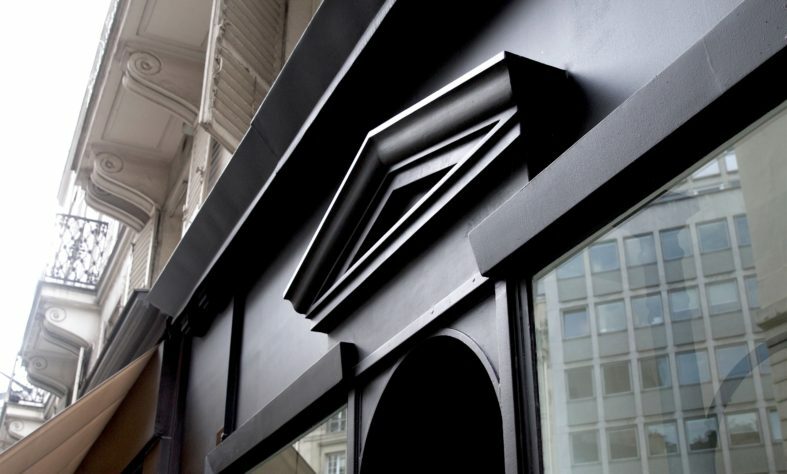 The creation of bespoke glasses has been part of Ateliers Baudin’s DNA since their beginnings. 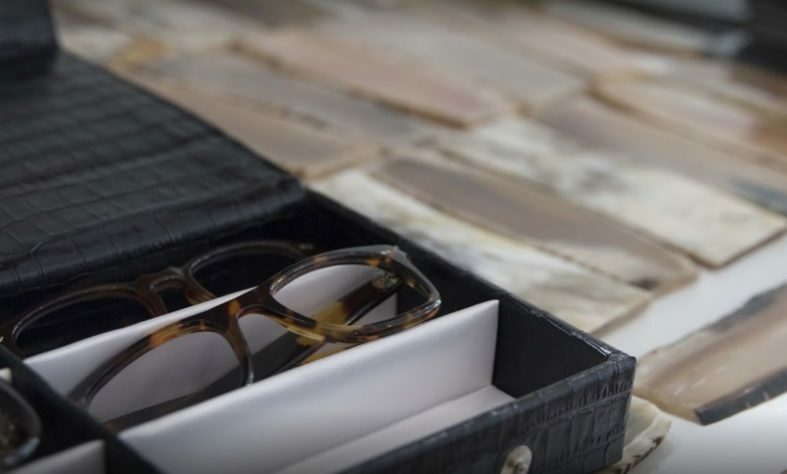 Our craftsmanship as eyeglass manufacturer is fully expressed in the handcrafting of bespoke glasses, whether it is sunglasses, men’s or women’s glasses, or glasses for child. 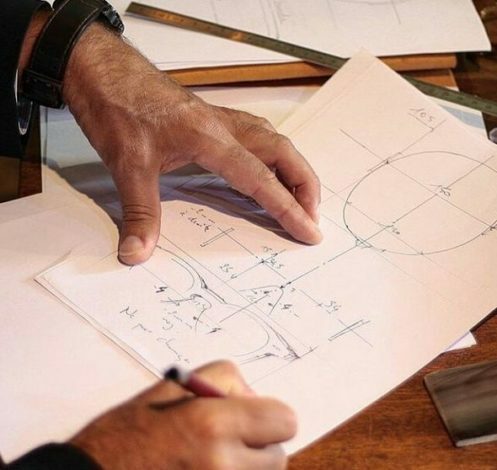 Ateliers Baudin brings together know-how and skills 100% dedicated to the bespoke scope: we are specialists in the design, creation and manufacture of unique pieces entirely hand-made. 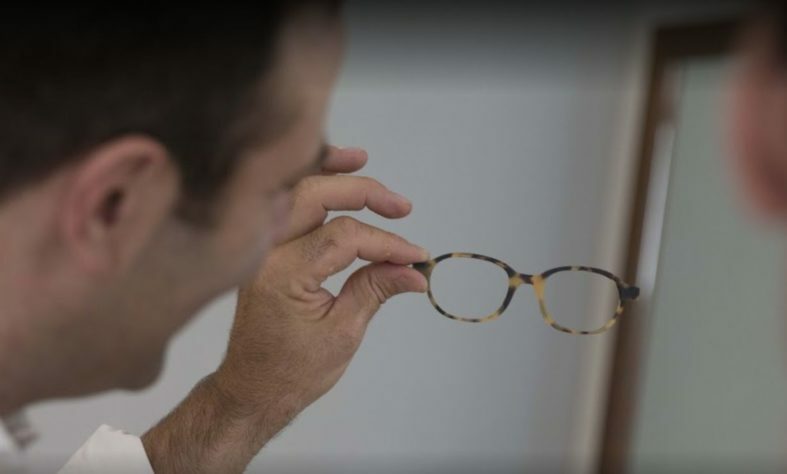 The creation of a bespoke pair of glasses requires more than twenty custom measurements: nose angle, temporal gap, pupillary distance, eyebrow height, branch length, … But beyond these technical aspects specific to our craft of eyewear, we invite you to a real dialogue with our team of specialists to create a unique eyewear, reflecting your personality, your tastes and your preferences. It starts with the choice of the shape, drawn from our style library or from any other source of inspiration. It can be a pair of vintage glasses, a model from a celebrity, or a pair of glasses to which you are accustomed and of you want to see recreated or declined in different colors or different materials. 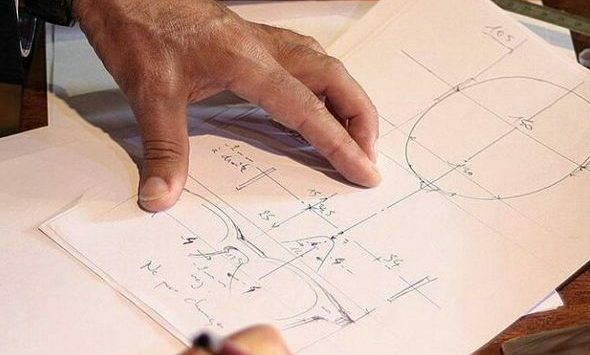 Then comes the choice of color and material in which the Ateliers Baudin will shape your unique and exclusive bespoke model. This phase generally gives rise to the creation of a drawing or a prototype that will definitively validate the final model. 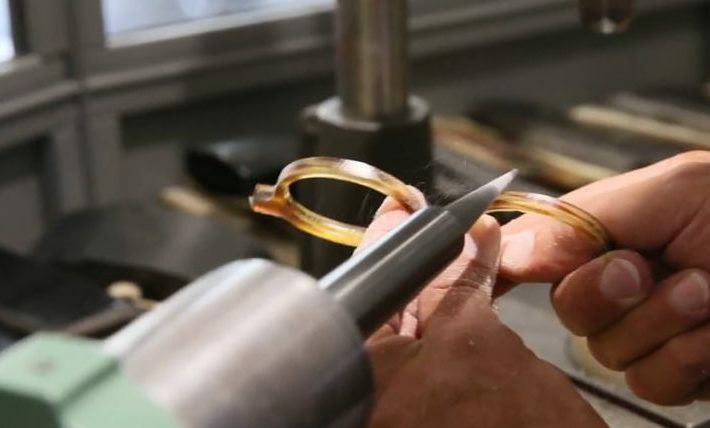 Each step of realization of your custom-made bezel is carried out by one of our confirmed craftsmen, trained to the “lunetier” crafts in the purest tradition Jura, cradle of the French eyewear and which is also our region of origin. As a general rule, it takes between 3 and 5 weeks to create a custom frame that perfectly meets your morphological needs, and especially your personal tastes and wishes.